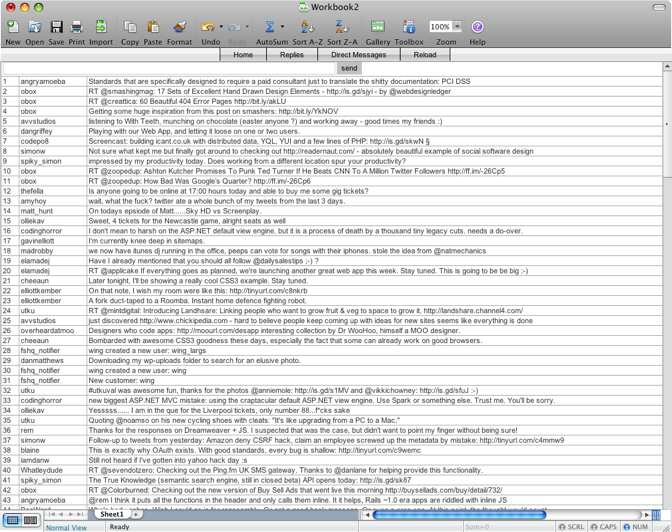 Another way to use Twitter discretely is to tweet as if your working on a spreadsheet application. 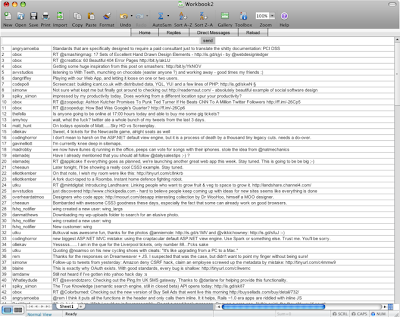 SpreadTweet is a Twitter disguised as a spreadsheet so your boss will think that you're working on an Excel sheet while you are up there tweeting your heart out. With SpreadTweet, you will be able to send and receive updates, replies and manage direct messages inside an app that looks like exactly as Excel 2007. To Run SpreadTweet, You'll need The Adobe AIR runtime.